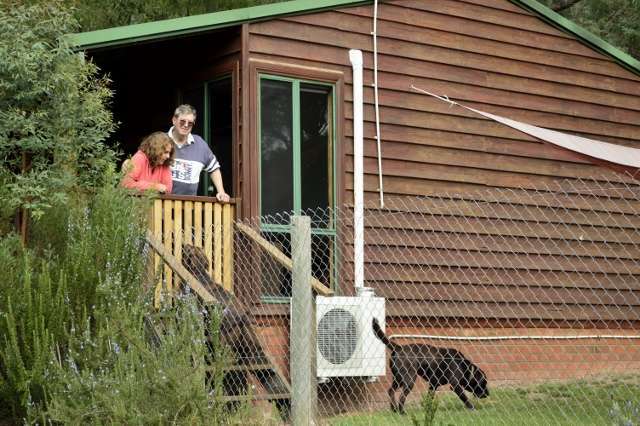 Diamond Forest Cottages provides a total holiday experience for the family, with no need to travel off the property. 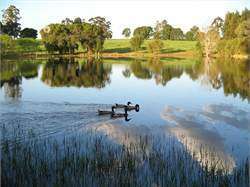 Located between Manjimup and Pemberton in Australias South West region of Western Australia, Diamond Forest Cottages is the perfect place for you to share family fun using the canoes on the dam, fishing for Rainbow Trout, feeding the friendly farm animals or giggling over a game of air hockey or foosball in the games room. Alternatively, the adults may indulge in some private time while the older children occupy themselves with these on-site activities or the younger children spend some time in the petting zoo. 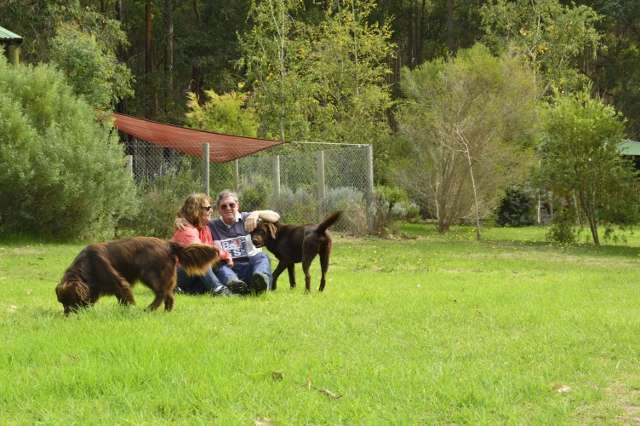 Enhancing your holiday is the genuine warmth, interest and country hospitality of your hosts Mark & Kerriann. Diamond Forest Cottages is their passion, their livelihood and their home, and they make every effort to ensure their guests love it as much as they do. Their warm smiles come without cost, and with an established reputation of friendly personalised service you will be assured of a most memorable stay. 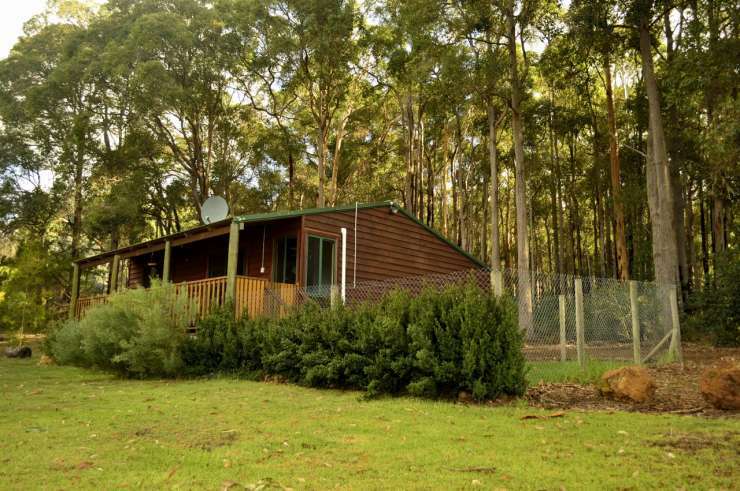 A peaceful rural property on the edge of the beautiful tall timber forests in the South West of Western Australia, Diamond Forest Cottages is a perfect holiday retreat in a relaxed rural setting. The changing seasonal beauty of the rural landscape ensures that Diamond Forest Cottages is a picturesque escape at any time of year.The property offers guests a choice of holiday: an active escape to discover the great outdoors around Pemberton and Manjimup; an affordable family farm stay holiday in the comfort and privacy of a quaint home away from home; or simply a relaxing break to renew the spirit and rejuvenate the body.On arrival you will settle in to the privacy and rustic ambience of one of the four fully self contained western red cedar cottages which feature reverse cycle air conditioning, modern kitchen facilities, comfortable beds and picturesque views.Completely self-contained, it would be easy to cocoon yourself away in your cottage and completely relax without leaving the idyllic surrounds of this enchanting destination. However, as the property is centrally situated in the heart of the Southern Forests, guests usually find the proximity to the region’s tourism icons, restaurants, cafes, galleries, vineyards, forests and golf courses too tempting to pass up. 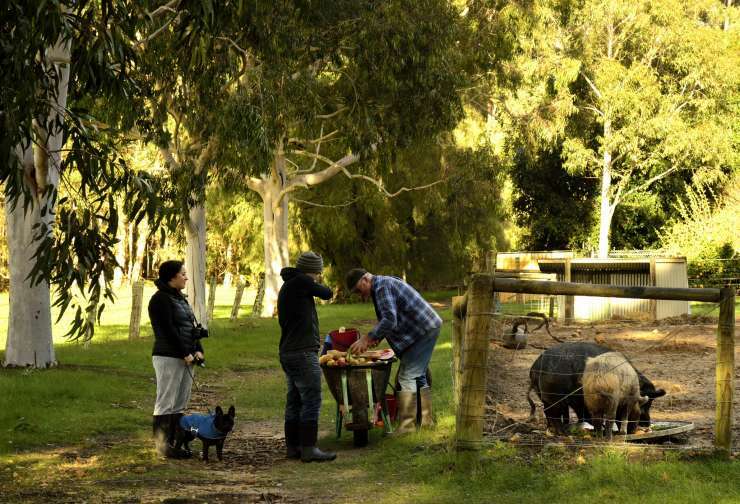 There is plenty to do on the farm and even more to see & do in the surrounding area.Diamond Forest Cottages provides a total holiday experience for the family, with no need to travel off the property. 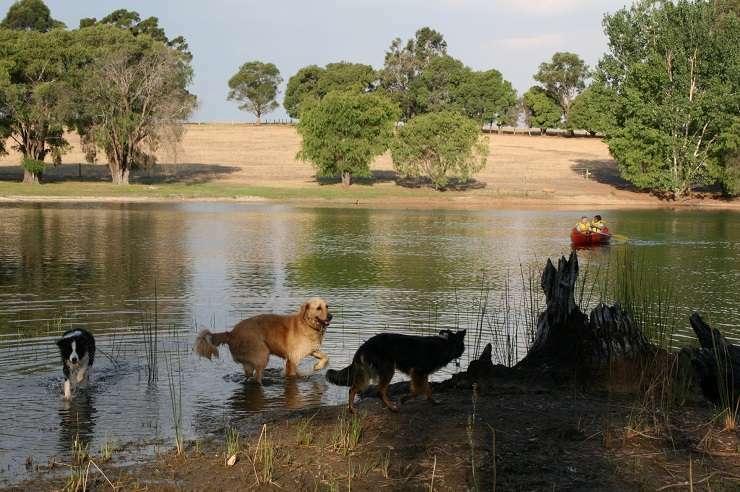 It is the perfect place for you to share family fun using the canoes on the dam, fishing for Rainbow Trout, feeding the friendly farm animals or giggling over a game of air hockey or foosball in the games room. Alternatively, the adults may indulge in some private time while the older children occupy themselves with these on-site activities or the younger children spend some time in the petting zoo.Enhancing your holiday is the genuine warmth, interest and country hospitality of your hosts Mark & Kerriann. 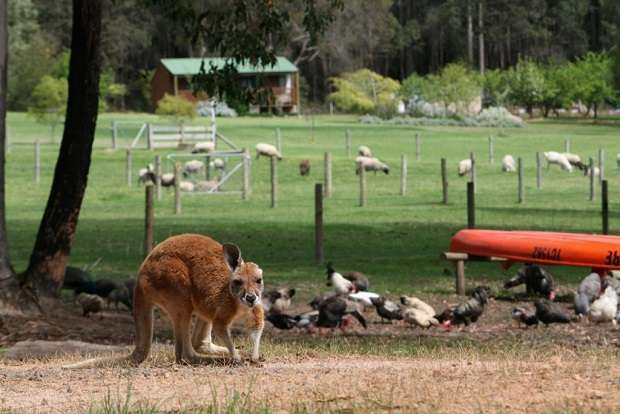 Diamond Forest Cottages is their passion, their livelihood and their home, and they make every effort to ensure their guests love it as much as they do. Their warm smiles come without cost, and with an established reputation of friendly personalised service you will be assured of a most memorable stay.